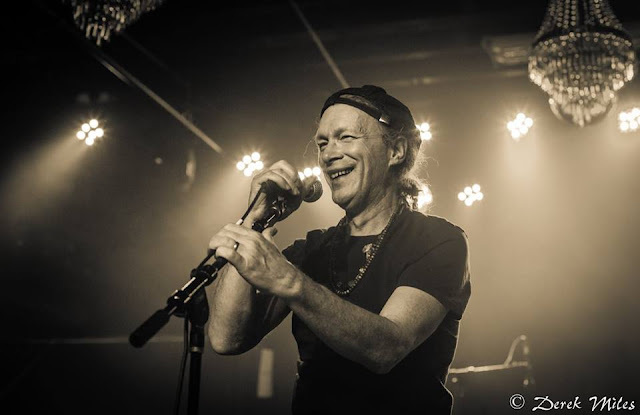 Steve Kimock and Friends put on a fantastic show at Cervantes this past Saturday, the second night of their two-night run. They ended up selling out the venue right before the show went on, and for good reason. They set the mood by starting out with “Friend of the Sun,” previously known as “Sagan” – as the song includes pre-recorded excerpts of Carl Sagan dialogue. This song has a funky intergalactic groove, which was definitely appropriate for the vibe of the night. The band for the evening included Steve Kimock (guitar), drummer John Morgan Kimock (Steve’s son), keyboardist and organ player Jeff Chimenti (Dead & Company/Further), bassist Andy Hess (Gov’t Mule), and the gorgeous singer/pianist/dancer Leslie Mendelson. This lineup differs only slightly to the band on the most recent album Satellite City of which this tour has been supporting - Bobby Vega (bass) being the only personnel change-up from the album. The show featured four of the nine tracks off the album. The beginning of the show was delicate. After “Friend of the Sun” had gently unfolded unto us, “Point of No Return” continued on a similar path of minimalistic openness, venturing into dynamic and melodic free jazz at points. This song was played without the lyrics, yet we didn’t necessarily miss them. “Mother’s Song” came next with its somber verve and purpose. The build-up into Steve’s solo was nothing short of endorphin releasing. A euphoric last breath ends the song as the joyous roar suddenly drops into silence. A few songs in and Mendelson takes the reins to amaze the audience with her breathtaking voice on the tender “Babe it Ain’t No Lie,” written by Elizbeth Cotton and popularized by The Dead. Everyone was paying attention now. 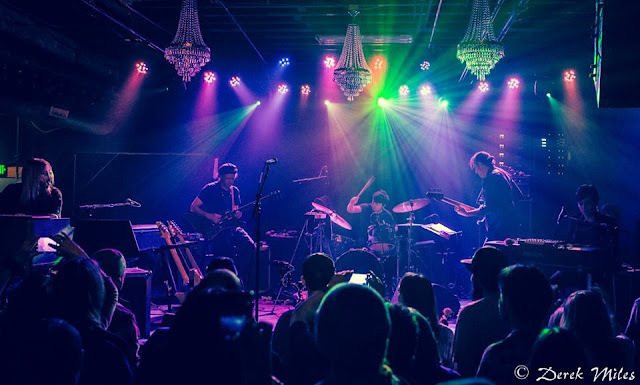 Kimock was in proper form - he played his guitar like a gift from above to us mere mortals. He also blessed us with the sweet sounds of his lap steel tone throughout the night. He makes it look so easy. John Kimock played the drums beautifully. He even had a few brilliant solos. JMK seemed a little reserved, but he sure knew what he was doing. Chimenti seemed right at home. He played every note perfectly, and with such intention. He was all smiles the whole night. Andy Hess was very fondly recognized. Someone in the audience whispered, “Isn’t he the guy from Gov’t Mule?”. Hess was definitely feeling the music. He danced around the stage and made more than a few funk faces. This group of talented musicians melded together like it was meant to be. The audience felt like one big, happy family. Everyone was dancing and smiling—even with people who were initially strangers. There was some chattering throughout the venue, but it was quickly followed by a unified “Shhhh,” which seemed to work pretty well as a polite STFU. The respect and admiration for Kimock and his cohorts filled the air, and it was contagious. After the second set, the audience demanded an encore. We waited under ten minutes before Kimock and friends came back out and delivered a soul stirring “Many Rivers to Cross,” truly a gospel experience.